Beautiful red, yellow and white poppies in a lush green field. 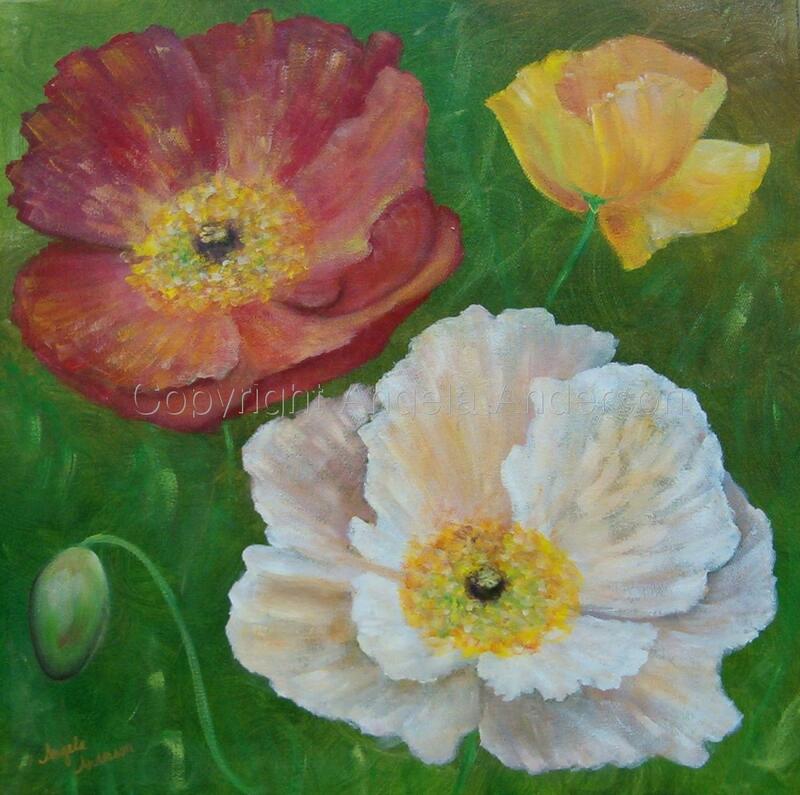 Painted with acrylics on gallery wrapped canvas. Sides painted, wired & ready to hang. 5" x 5"6" x 6"7" x 7"8" x 8"8.125" x 8.25"